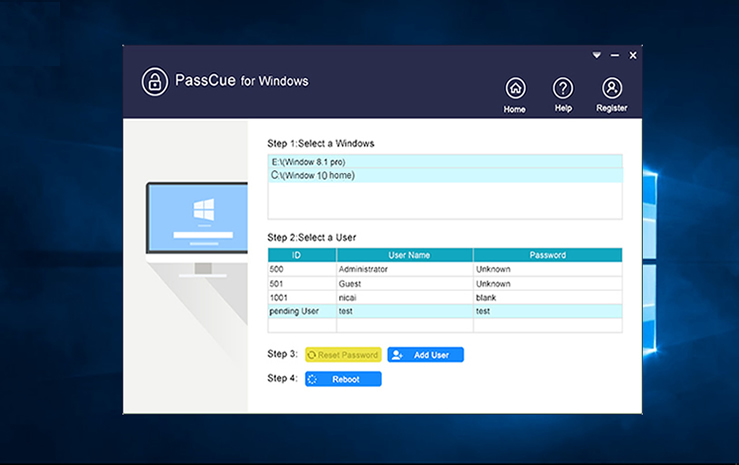 PassCue for Windows enables you to reset login, administrator and other users password on Windows 10/8/8.1/7/XP without re-installing OS. It helps in successfully resetting the login password of Windows Servers 2016/2012/2008 R2 that are Domain Controllers. The whole process is remarkably easy and quite quick. 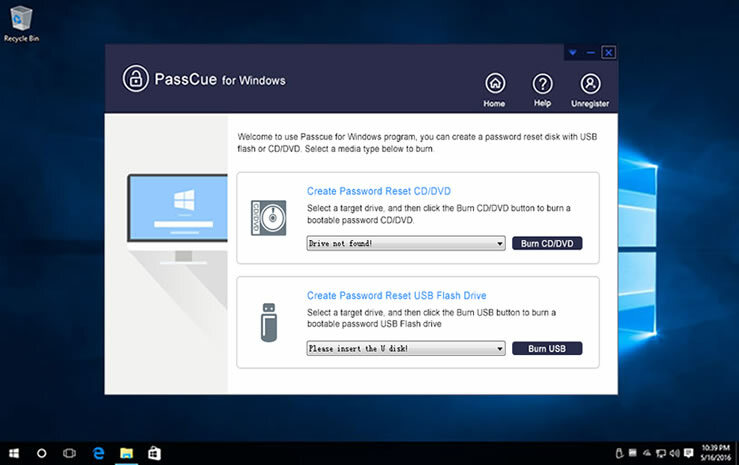 This Windows Password Recovery allows users to make a bootable disk with USB, DVD, and CD. Fully compatible with old Legacy BIOS as well as the new UEFI, which is an enhanced version of the Legacy BIOS mode. Make the password resetting so easy! The tool has been specialized to work with Microsoft account password on Windows 10/8/8.1. 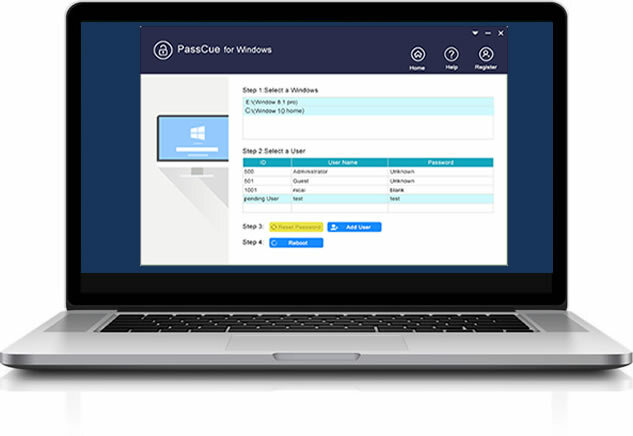 PassCue for Windows gives users the permission to create a new password and users for their Widnows OS so as to be able to regain access to it. Download and install the program on a spare working computer. Insert your USB or DVD/CD to that working computer and create a bootable reset disk. Insert USB/DVD into the locked computer and set it boot from USB/DVD, then select user and reset password. 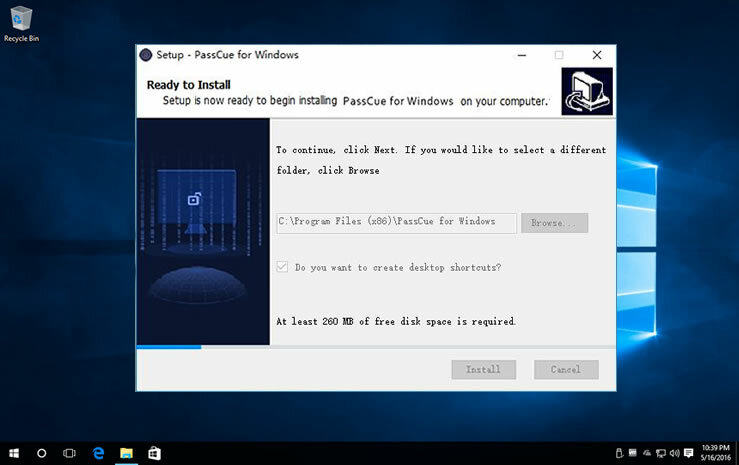 PassCue for Windows is one of first company introduced the UEFI technology in the Widnows Password Recovery product, this make it extremely easy to reset login password without complicated settings in the BIOS. Automatically recognize your BIOS. MBR(legacy BIOS/CMS boot): Works for some old computer which only has Legacy BIOS. UEFI boot: It has strong compatibility for all new computer mainboard and BIOS. 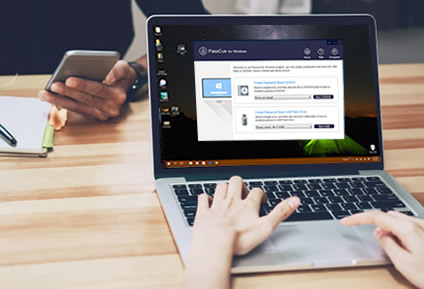 This Windows Password Recovery program fully supports 700+ computer model and 100 PC brands. It also compatible with all types of hard disks- IDE, SATA, RAID, SSD, HDD, etc. Spectre, x360, Envy 17/15/13, ZBook x2, Pavilion and more. XPS 13	XPS 15, vostro-5000-laptops, Alienware Laptops.etc. ZenBook UX/Deluxe/Flip, ROG Strix.SCAR/Hero/GL, etc. Aspire 1/3/5/7, Switch Alpha 12, Switch 12/5, Spin, Aspire , etc. YOGA 900/700 Flex/Y700/500/300/100, N24/N23 ThinkPad X1/X1.etc. Perfect Windows password recovery program. Worked exactly as advertised. Perfectly removed the password from my computer without touching any other information at all. Easy to use and super design. Highly recommended! I must tell that PassCue for Windows has the best support staff available in this industry. They were kind enough to help me to reset Dell computer password from top to bottom. I am not a very techy person but the support staff guided me throughout the process. Very satisfied. PassCue for Windows does really work for all kind of passwords. I tried to reset picture password in my computer and it removed the password almost instantly. Very delightful program. 100% recommended. Absolutely charming little program. I am totally blown away seeing how flawlessly it reset the password of my Windows 7 machine. I didn’t even have to install Windows operating system all over again. Very nice job developers, totally impressed! How to Reset Windows 10 Administrator Password If Forgot? I Forgot My HP Laptop Password How Do I Reset It? Ophcrack No Tables Found on Windows 7,8, How to Fix? How to Set or Change Pin/Picture Passwrod on Windows 10/8/8.1? What's The Bnefit of A Registered Version? and you can enjoy lifetime free technical support and upgrades. In these rare situations, You may encounter that program still pops up messages saying “This is trail version”. It means you didn’t regsiter successfully in registry. For such case, it’s easy to solve. Just uninstall the program and install it again, then regsiter and burn agin. Done! - Simply remove login and admin password on Windows with this professional, multifunctional but easy-to-use program. - It is compatible with Windows 10/8/8.1/7/XP. and Server OS, like 2000/ 2003/ 2008/ 2018/ NT.